“Best of Class” honorees are chosen by a panel comprised of leading voices in dental technology, who come together each year to discuss, debate and decide what products merit recognition. All technology categories are considered, but if there is no clear differentiator that sets a product apart in its category, then no winner is selected. Panelists who receive consulting compensation from dental companies are prevented from voting in that company’s category. Over the years, the panel has developed a rapport that makes space for important conversations about value of different innovations and how evolving categories become more or less valuable to the general dentist. The spirited debate that follows results in a variety of products — obscure and well-known, basic and aspirational — being honored. The panel consists of five dentists with significant knowledge of and experience in dental technology, including Dr. Shuman; Dr. Flucke, writer, speaker, and Technology Editor for Dental Products Report; Paul Feuerstein, DMD, writer, speaker and Technology Editor for Dentistry Today; Marty Jablow, DMD, technology writer and consultant for Dr. BiCuspid; and Parag Kachalia, DDS, Vice-Chair of Preclinical Education, Research and Technology, University of Pacific School of Dentistry. Vatech is a leading provider of digital dental radiography products. As the US subsidiary of Vatech Inc., Vatech America is dedicated solely to innovative digital dental X-ray imaging technologies that aid dentists and ultimately help to improve the health of dental patients. The company is responsible for technological advances in recent years that offer every American dental practice, from small to large, endless possibilities to achieve higher standards. Founded and led by CEO Dr. Lou Shuman, DMD, CAGS Cellerant provides strategic dental market insights, clinical expertise, implementation resources and support to accelerate growth for client dental companies. Cellerant services include new concept incubation, clinical product evaluation, product development, continuing education program development and CE sponsorship, strategic branding and marketing, online marketing, lead generation and dental media relations management. As an orthodontist and former owner of a 10-doctor multi-specialty private group practice Dr. Shuman guides clients to develop offerings that connect with and engage dental customers on a relationship level that provides sustained differentiation. Cellerant operates under a unique model that merges leading voices in clinical product evaluation and strategic partner companies to provide a menu of services from one easily accessible network. 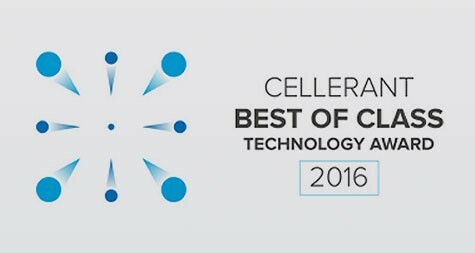 The “Best of Class” Technology awards were launched in 2009 as a new concept to provide an unbiased, non-profit assessment of available technologies in the dental space. Through print and digital media coverage, the “Best of Class” message reaches the community of 150,000 dentists through multiple touch points—in print and online—educating them about the products. Honoree participation in the “Tech Expo” at the American Dental Association’s Annual Meeting offers face-to-face interaction with the companies as well as technology-centered education provided by members of the panel as well as the esteemed consultants of Pride Institute. Courses at last year’s 2015 meeting sold out. This year’s event will be held Oct. 20-23 in Denver, CO.